Tickets and opening times for the museum. Admission to the Heritage Discovery Center is $9 for adults, $7 for seniors, and $7 for children from 3-18 (children 2 and under are free). 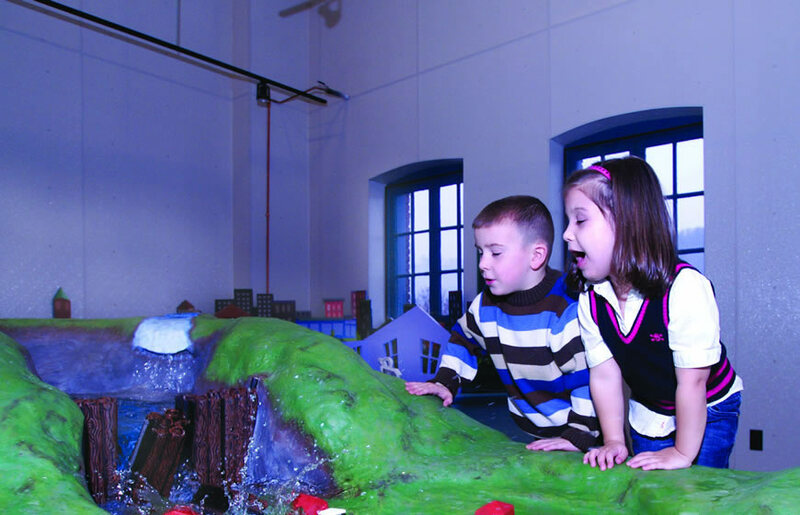 Admission covers all exhibits and amenities at the facility, including the Johnstown Children’s Museum, “America: Through Immigrant Eyes,” the Iron & Steel Gallery featuring “Mystery of Steel,”, the second-floor galleries and fifth-floor galleries. You may purchase a ticket for both the Heritage Discovery Center and the Johnstown Flood Museum, which is also operated by the Johnstown Area Heritage Association, for $12 for adults, $10 for seniors, or $10 for students. Both visits must take place over a period of five days. We are also pleased to offer a 20% discount to active members of the military. Please present your military ID to receive this discount. The Johnstown Flood Museum is located about a half-mile from the Heritage Discovery Center and Wagner-Ritter House & Garden. Museum staff will be happy to direct you. When you purchase a membership to the Johnstown Area Heritage Association, you receive admission to all our museums for an entire year, as many times as you’d like to come! Plus, you get benefits like discounts to ticketed events presented by JAHA, including passes & packages to the AmeriServ Flood City Music Festival and more; special invitations to member-only events like exhibit openings; free admission to children’s programming; and much more. It’s a great deal, too. The cost of just one visit a family of four covers a full 40% of a family museum membership. Click here for more about JAHA membership. From April through October, the Heritage Discovery Center (including all amenities in it) and Johnstown Flood Museum are open Tuesday-Saturday from 10:00 a.m. to 5:00 p.m., and on Sundays from noon-5:00 p.m (closed Mondays). For the slower visitor season of November-March, we are open Wednesday-Saturday from 10:00 a.m.-5:00 p.m., and on Sundays from noon-5:00 p.m. (closed Mondays and Tuesdays). We will open anytime for pre-arranged group tours — call us at 814-539-1889. Be sure to check what special events might be offered during your visit. All museums are wheelchair-accessible, and our film presentations are captioned. We look forward to welcoming you!